Feel free to leave comments and ask questions! 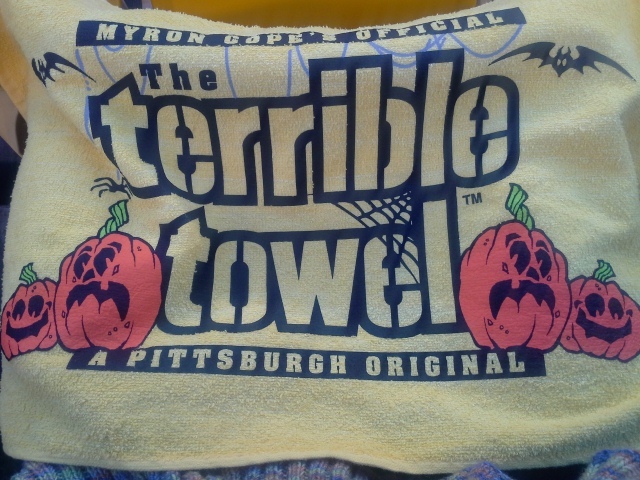 Terrible Towel from my first Steelers game at Heinz Field on 10/20/13. Ravens VS Steelers. We won, 19-16, AMAZING game! Asheville, North Carolina Travels and Asheville Cotton Co.